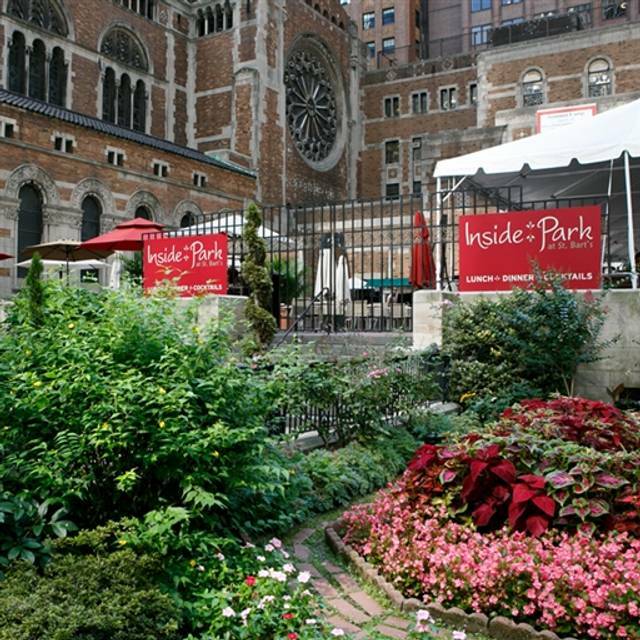 You must make reservations at least 5 minutes in advance of the time at Inside Park at St. Bart's. Public lots nearby and street parking is also available. Subway: 6 Lexington Ave. local to 51st Street, walk west to Park Avenue. E or V train to Lexington Ave.-53rd Street stop, walk downtown on Lexington to 51st Street, turn right to Park Avenue. Bus: Lexington Ave. or Third Ave. buses to 50th St. Walk west to Park Avenue. 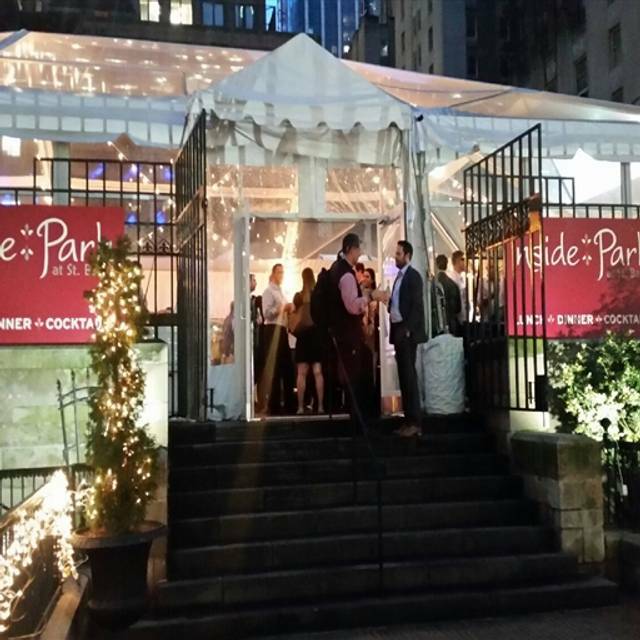 49/50th Street cross-town bus to Madison Ave. or Lexington Ave.
Outside Terrace and Inside Great Hall alongside the famed Landmark St. Bart’s Church serves Contemporary American Cuisine all year around. Great service and ambiance, as always! Food is a bit overpriced for what it is, but everything else is great! We go there all of the time. The staff is always so pleasant and remembers every detail. Nicole is awesome at the helm. She probably deserves a raise and no, this isn’t her mother, just a very happy patron. 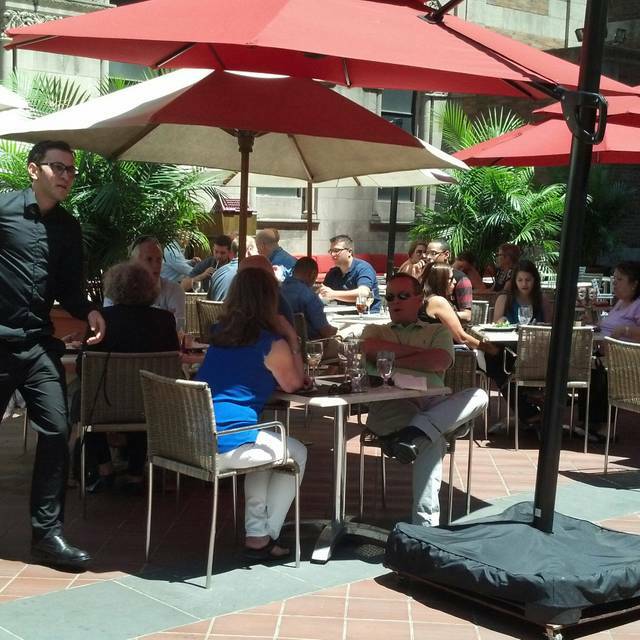 St. Bart's is a wonderful place to dine on a warm spring or summer day. Sitting up on the piazza there are great views of Park Avenue and great people watching. On a drearier weather day, one is just sitting in a tent having a meal. But note, please, the meal itself is quite all right. The menu has good choices whether you want bar food or healthier but good food. And everything we ate was well prepared. The restaurant is a good option for the neighborhood when you want a real restaurant meal. Great service, food was good and the noise was minimal which was great for a business meeting. Service and food were amazingly. It was nice to be offered the wine special at a very reasonable price. 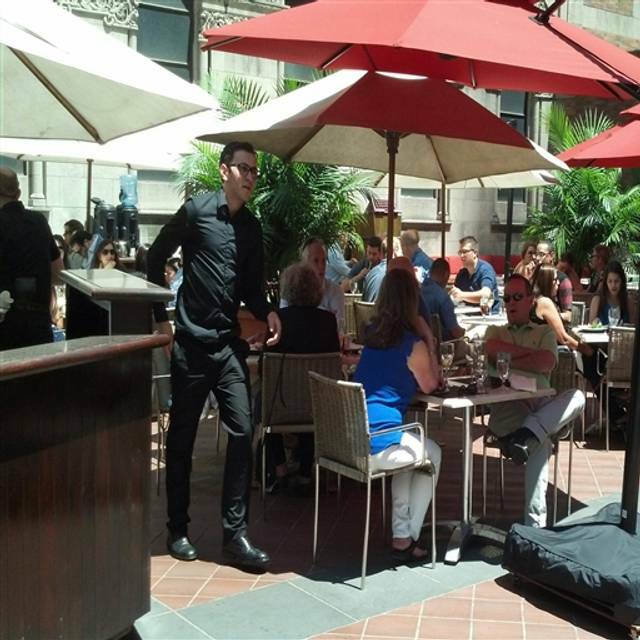 Great spot in midtown for casual lunch - social or business. Rare opportunity to be outside and NOT on a sidewalk. Hostess, Nichole, is great. What a pleasure to have so much light, a flowery entrance, lovely food and view of St Bart’s. Lunch choices made it difficult to pick just one. Unrushed atmosphere in such a busy city was greatly appreciated. Definitely will return. Always love it there. Staff is friendly. Nicole the hostess is amazing and deserves a raise.! Such an wonderful space lite by the natural light through the tented windows. My guest and I shared the shaved kale and roasted squash salad which was fresh and the Piedmont Burrata. Both were well amazing and could have been our whole meal. Then I had the wild salmon and my guest enjoyed the lamb burger. They were both cooked to temperature of our preference and arrived perfectly. Delicious too! Such a nice surprise on a Tuesday evening before the start of warmer days in NYC. Love Inside Park! 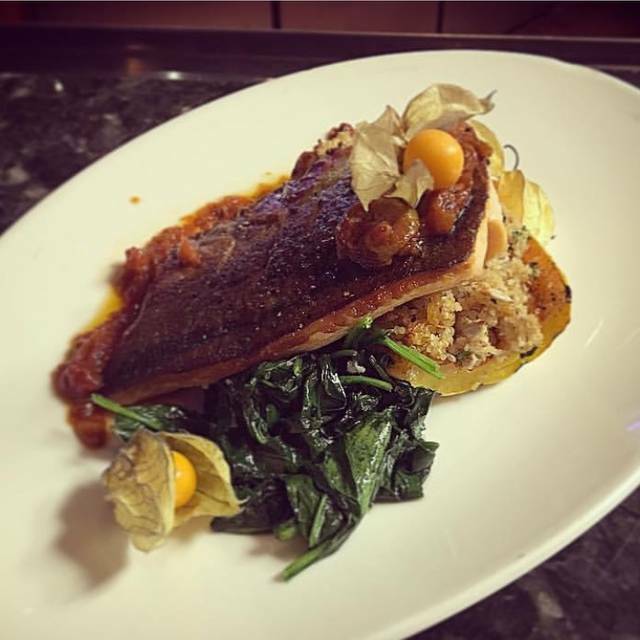 We love the versatile menu and come for dinner every week. 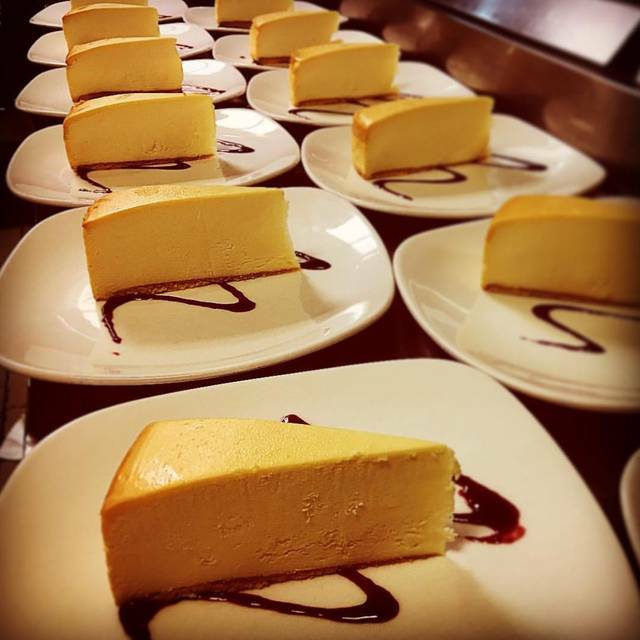 The staff is friendly, and the manager Tally is attentive and always makes us feel like family. 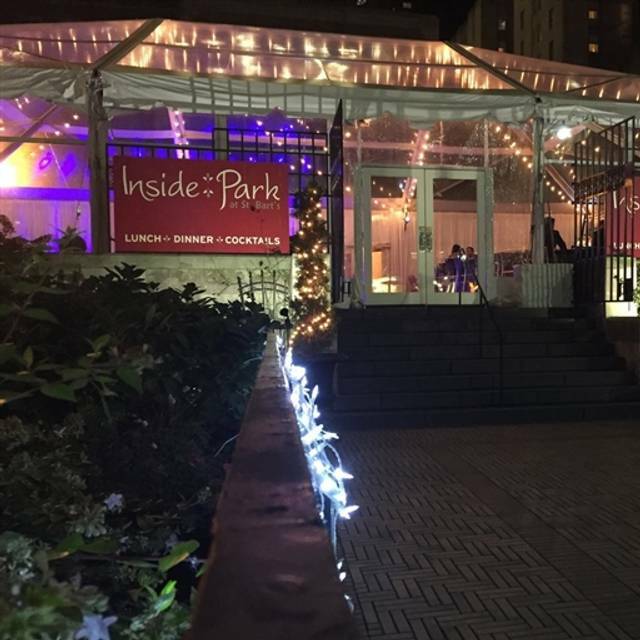 The ambiance on the terrace is gorgeous in the summer, and it’s a warm, cozy experience under their tent in the winter. You have to check this place out!! Inside Park was excellent as always. Great food, atmosphere and service. A true midtown gem, especially when the weather is warm enough to sit outside. Yet even when not, the enclosed terrace area is bright and comfortable, and the inner room has an interesting cloistered ambiance. Diverse menu. Reasonably priced for business or personal. Excellent service. Get the Tuna Tacos. Everyone is really great. Check out St. Bart's. It is very cool. Great ambiance and service for business lunch. Only negative is that wine by the glass was a bit pricey. What a terrific place, very comfortable, you can have a nice conversation and the food is quite interesting. I liked it so much, I went back the following day. Lovely people in the restaurant, sever is terrific. Love the inside space! We sat in the brand new wine bar area for lunch and very much enjoyed our experience! This was a wonderful space for a gathering of friends for our son’s birthday. Staff was responsive and festive, food and beverage was great. Can’t wait to come back! The chef must be from the Caribbean because it tasted like my mother’s cooking! 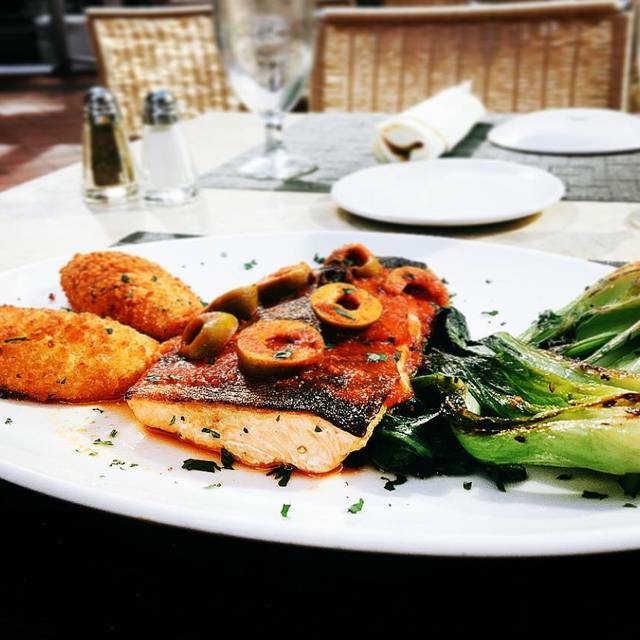 The salmon dish was divine and the sides were excellent! The wait staff however, a bit lackluster, hence the low overall rating. This restaurant offers a HUGE variety of premium wines by the glass! Definitely going back! The gnocchi and ravioli are divine! We will be back! Had Valentines dinner here. The ambiance was very nice and the food was good for the price. They had a price fix menu with enough choices to suit most I think. I would definitely go back. Nice spot for a quick lunch. I always enjoy the friendly service! Great spot for a business lunch. Nice variety as far as food selections and lovely service. Great waitress, loved the food and the welcoming staff. The wait for our meals was longer than expected, but it was very good once it arrived! Lunch offerings were varied and quality of food delivered was good. Location convenient and inside the restaurant was attractive and appropriately lit. Only negative: Waiter frequently stopped at table to take order despite requests for "a few minutes" each time - with less than 50% of the tables filled on a Tuesday afternoon. My wife and I had a great meal served by a wonderful staff. We will definitely return. I came here for lunch with a client. Excellent food selections. Lovely and attentive service. Perfect spot for business dining. Excellent dining experience! I will be back again! This is the prefect place for a business meeting or just to catch up. I enjoy the food and service! A rare find, in my neighborhood and quiet! I chose this location for lunch due to all the great reviews, however, I think it is over-rated. The staff were all very friendly, but the food took a long time to come from the kitchen and it wasn't even that crowded. When asked about the long wait, the waiter told us it was because of the burger...the burger? I asked, why would that take so long, it wasn't a special order or anything? Blank stare. The food was good, not great. The burger was a bit dry, the chicken pot pie was good as was the salmon. The fried chicken sandwich was good but the fries were cold. We ordered coffee and dessert not thinking that we would have a long wait again, but we were wrong. When asked about why, we were told because they dropped the apple tart and had to make another one, which then proceeded to come out cold. It was disappointing to say the least. Also, the waiter should've been a little more attentive to us knowing we were on our lunch hour and were waiting quite a bit for our food to come out. Would I go out of my way to go back? No. But it wasn't the worst experience either. Good food and very friendly service. Great Experience. 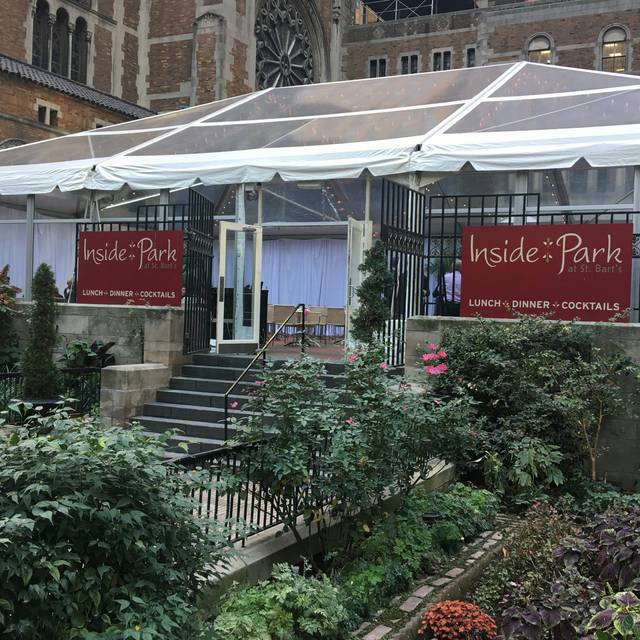 Service is great at Inside Park at St. Bart's. We were able to increase our party of two to three without a fuss. My friends and I enjoy this place for after work cocktails and a quality quick bite to eat. They made sure we were comfortable and we truly appreciated their attention to that since it was the coldest evening in December. Definitely plan to go back. Although it is under a tent the location is great, food was awesome and service professional. We will definitely come back. Took my mother there for Thanksgiving dinner. The Prixfix meet was amazing! It felt like a home cooked meal! I would do it again for the holiday! !